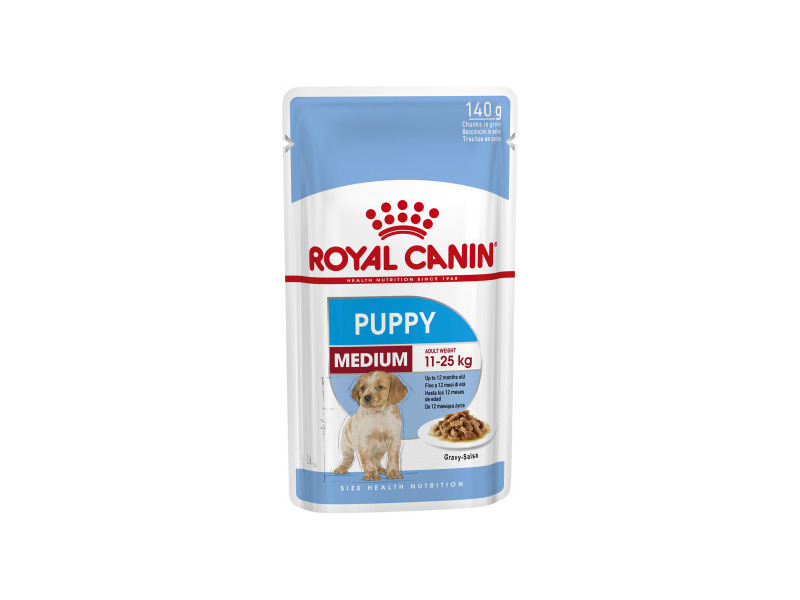 Royal Canin Medium Junior is a complete transition food for puppies aged between 2 and 12 months old, with a weight between 11-25kg at maturity. The food is also suitable for puppies with sensitive digestions, containing limited ingredients known to exacerbate digestive discomfort. The unique formulation combines digestible proteins and fats, as well as replicate nutrients found naturally in maternal milk. The kibbles can be fed dry or moistened to provide a palatable and suitably textured food for medium breed juniors. Complete dog feed for medium breed puppies (adult weight from 11 to 25 kg) - Up to 12 months old. Short Growth High Energy - Meets the high energy needs of medium breed puppies which have a short growth period. Mineral Balance (Calcium / Phosphore) - Helps ensure robust skeletal development in medium breed puppies thanks to an adapted intake of calcium and phosphorus. Nutritional additives: Vitamin A: 11800 IU, Vitamin D3: 1000 IU, E1 (Iron): 46 mg, E2 (Iodine): 3.6 mg, E4 (Copper): 8 mg, E5 (Manganese): 60 mg, E6 (Zinc): 199 mg, E8 (Selenium): 0.08 mg - Preservatives - Antioxidants. Protein: 32% - Fat content: 20% - Crude ash: 6.4% - Crude fibres: 1.7% - Per kg: Calcium: 11.5 g - Phosphorus: 9.1 g - Manno-oligo-saccharides: 0.5 g - Fructo-oligo-saccharides: 3.4 g. *L.I.P. : protein selected for its very high assimilation. There are currently no questions for Royal Canin Size Health Nutrition Medium Junior Dog Food - be the first to ask one!